See our OVL shop for full range of OVL products. The new NIRVANA-ES™ 7mm UWA-82° High-Performance Eyepiece provide you with an excellent viewing experience. The 82 degree field of view (Apparent) best contrast and super field edge offers you an impressive and attractive viewing experience. This eyepiece works with all telescopes of different focal lengths. With soft rubber eye cups this eyepiece features large eye-lens element for better and comfort viewing. Featuring a blackened lens edges with fully multi coated optics to avoid reflections. This eyepiece is constructed with anodised aluminium finish with rubber grips. 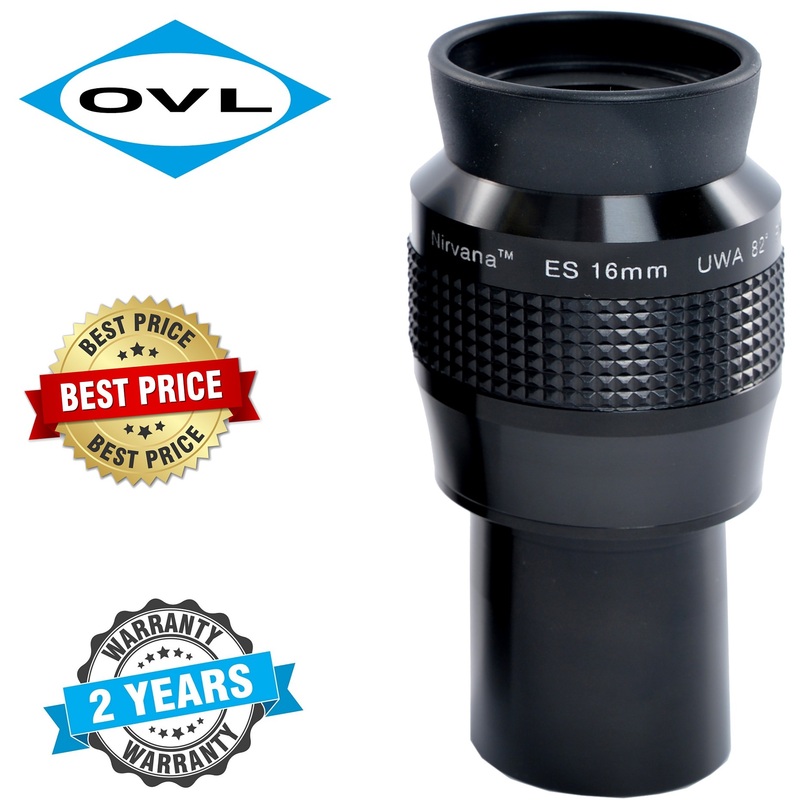 For more information about, Nirvava-ES 16mm UWA-82 High Performance Eyepiece website.